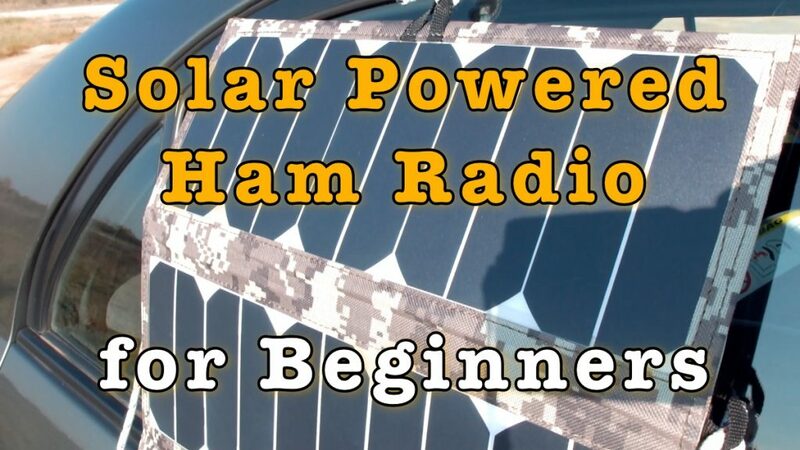 In this week’s video, Solar Powered Ham Radio for Beginners, I am discussing on the gear necessary to operate a portable station with solar power. 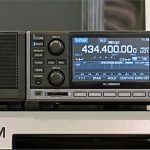 I am going through the gear one will need to operate with a solar power source, how to use it and a couple of things to avoid. At the last part of the video I am demonstrating portable operation with the whole setup out in the field. Jump to Where to get these or similar. The battery is where you get your power from. 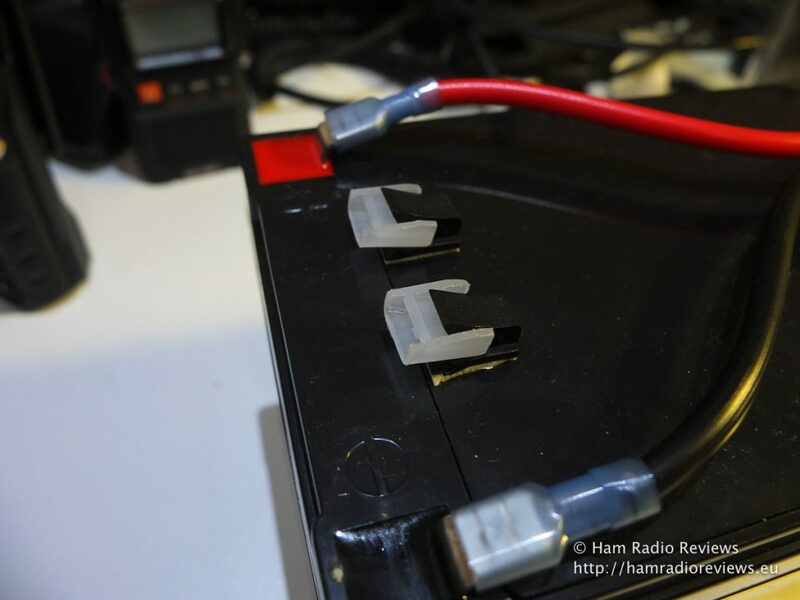 The recommended battery for the setup is a 12V Sealed Lead Acid (SLA for short) – Pb. This is practically the same as the more common car batteries and they come in various capacities.They can handle large current draws and don’t have issues with constant charging. They are also the most inexpensive and maintenance-free. Note that, by “maintenance-free”, the manufacturers mean that they don’t need occasional water fills, like older, open-type batteries. Choose your battery according to your intended purpose. The larger the capacity (in amp-hours – Ah), the more operating time it will give you. There is a caveat though. Lead acid batteries are very heavy. 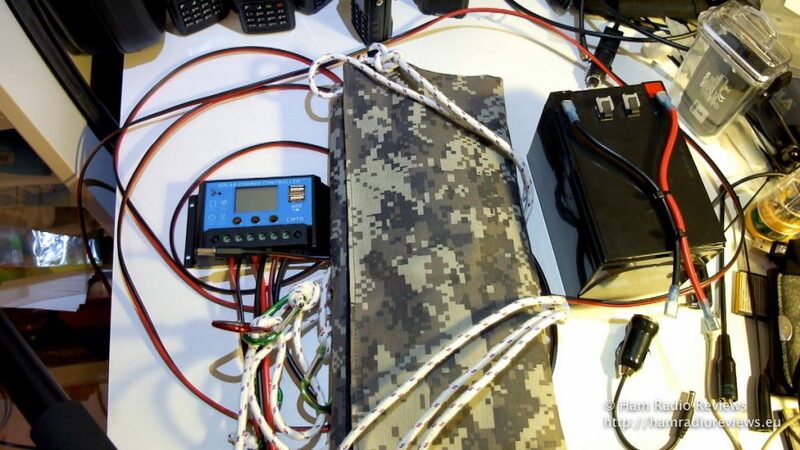 As an example, the battery I am using in the video, at 12Ah weighs around 3.5kg. So, it is not a battery you would take backpacking. Click the images below for larger versions. 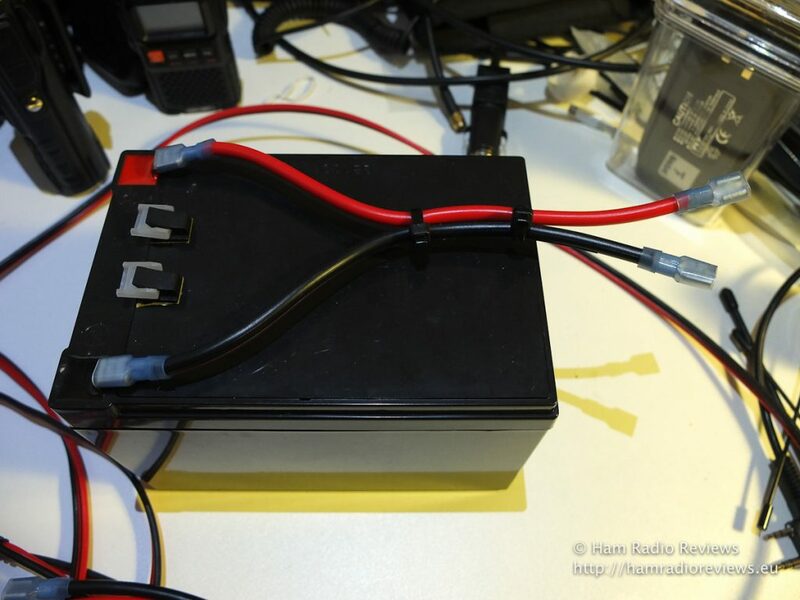 My 12V, 12Ah sealed lead-acid battery (Pb). Custom made contact cables for flexibility. 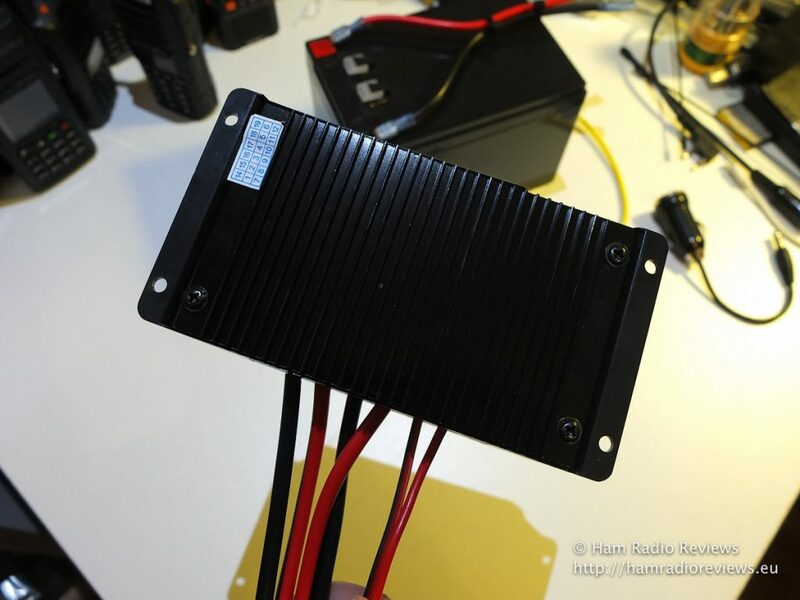 The solar charge controller is very important. It’s got a lot of things to do to make the system work correctly. It regulates the voltage it gets from the solar panel. 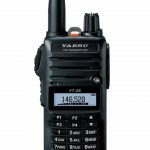 It provides a constant voltage for powering the equipment. It also float-charges the battery, when no load is being drawn. a. PWM – Pulse Width Modulation: This is the simplest of the two. It is smaller and cheaper and is suitable for single solar panel setups, or multiple solar panel setups in parallel. This is because they are rated for specific voltages, usually both 12 and 24, which they automatically select when connected. These charge controllers are not very efficient, as, if the light intensity is low, the voltage output of the solar panel drops, so the controller cannot charge the battery. 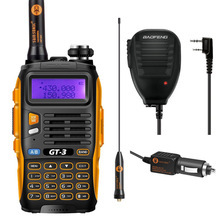 However, they will do just fine for simple setups (like in ham radio). b. MPPT – Maximum Power Point Tracking: This is the more complicated version. 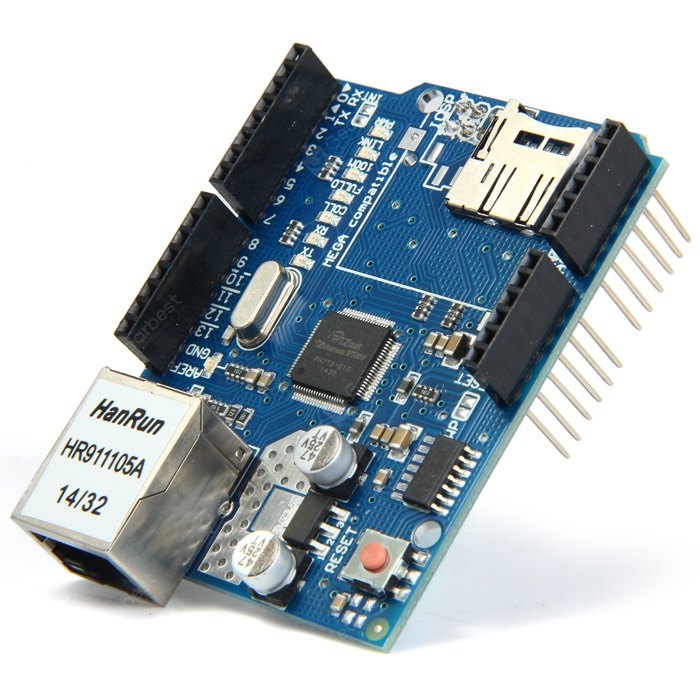 MPPT controllers are larger and more expensive than PWM controllers. However, there’s a reason for this. They are rated for higher voltages (eg. 100V) and they adjust the current accordingly when the voltage drops. They are more suitable for multiple solar panels connected in series for higher voltage. When the light intensity is low, the MPPT utilizes the lower voltage and adjusts the current to the battery (or batteries) accordingly. So, even in low-light situations, the controller will still be charging the battery, even at a lower rate. 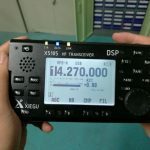 These controllers are not suitable for portable ham radio operation due to their size and cost. 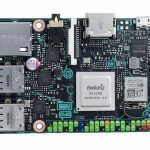 Beware of cheap “MPPT” controllers. They might not actually be MPPT, but PWM controllers labeld as such. When you choose a solar charge controllers, apart from the voltage, check the amperage it can handle. 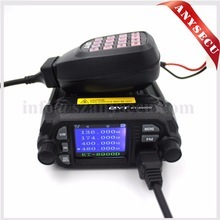 The ANSELF CMTD 2420 controller I am using in the video, is rated at 20A. There are smaller controllers available (eg 3A, 6A etc). Also, make sure you get a controller for the correct battery chemistry. 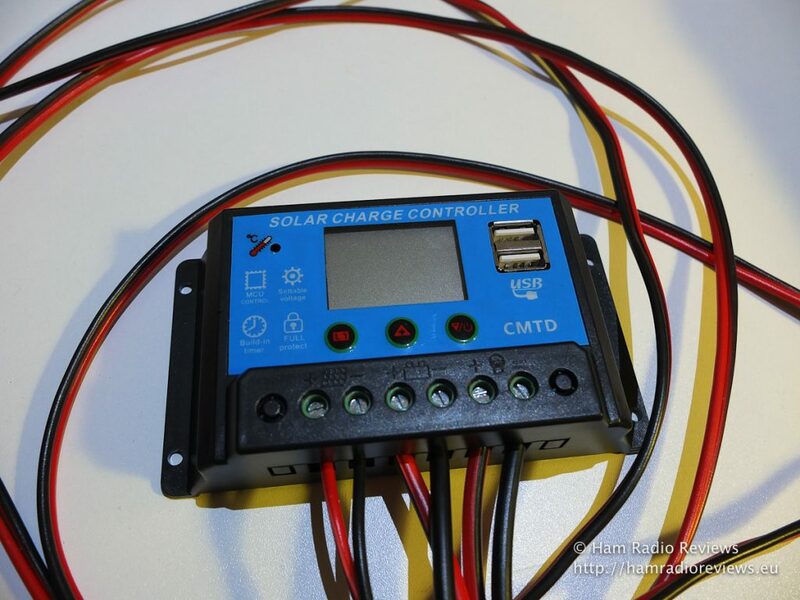 There are solar charge controllers for lithium batteries also. These controllers should not be used in systems with SLA batteries. 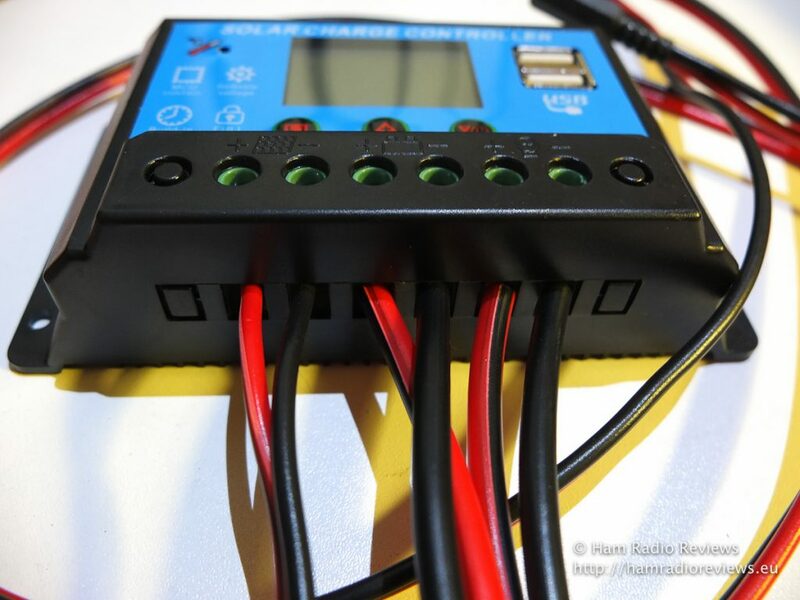 Likewise, SLA charge controllers should not be used in system with lithium batteries. 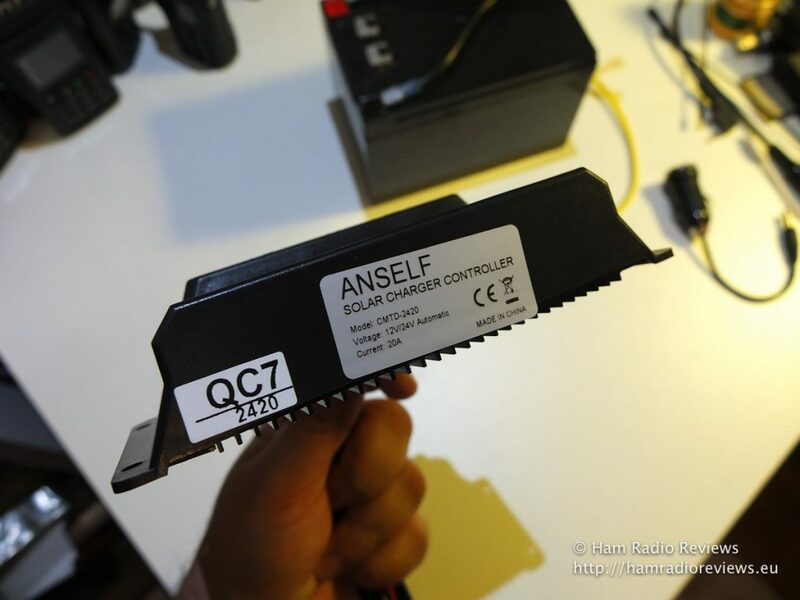 ANSELF CMTD 2420 Solar charge controller. The exact same controller comes in a variety of brands. From left to right, in positive/negative pairs: solar panel input, battery, load. Charge controller back plate. Note the ribs for heat dissipation. 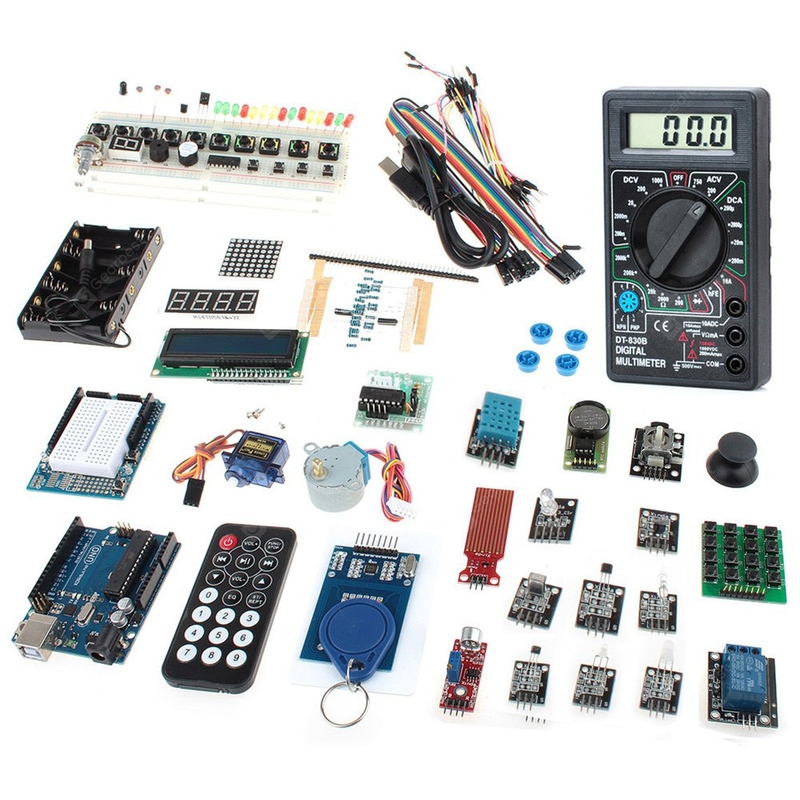 Check if the voltage and amperage of the controller suits your needs. This is your power source. 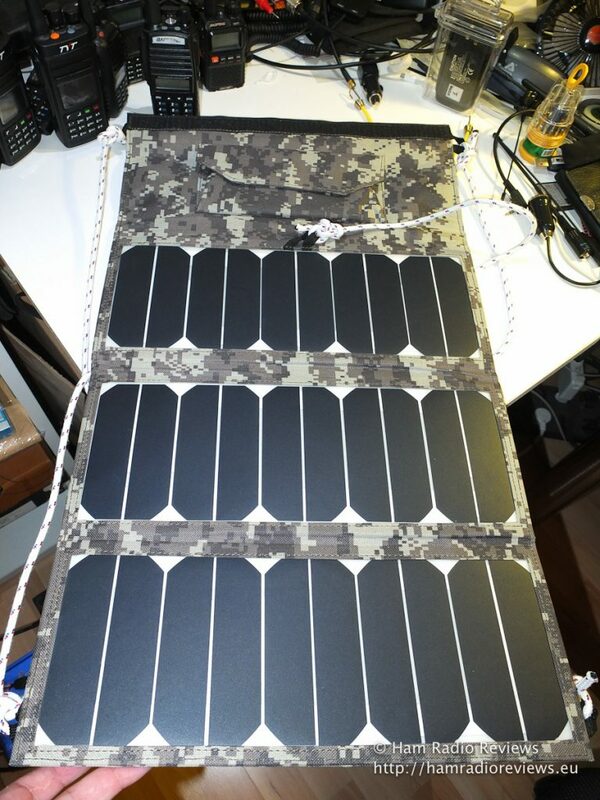 Technology has advanced significantly regarding the manufacturing of solar panels. I won’t go into details on the subject as I am not an expert. A good thing about solar panels is that their manufacturing costs are constantly being reduced. Hence, the prices drop also. Choose the solar panel that is more suitable for your working conditions. 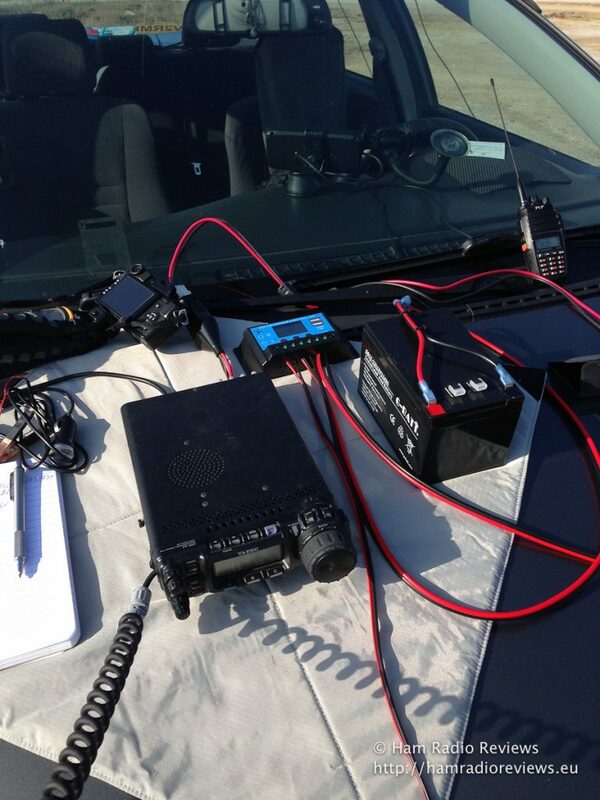 Are you planning on working a portable station, where you will drive to your location and setup next to your car? Get a 100W solar panel, if you can afford it. Are you going backpacking? Get a foldable one that will fit int your backpack. There are multiple options out there. 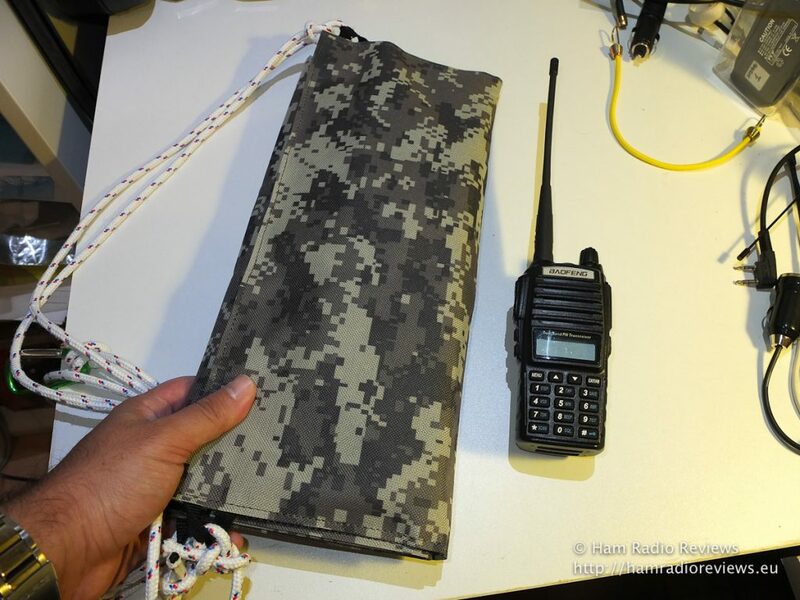 Folded solar panel next to a Baofeng UV-82 for size reference. 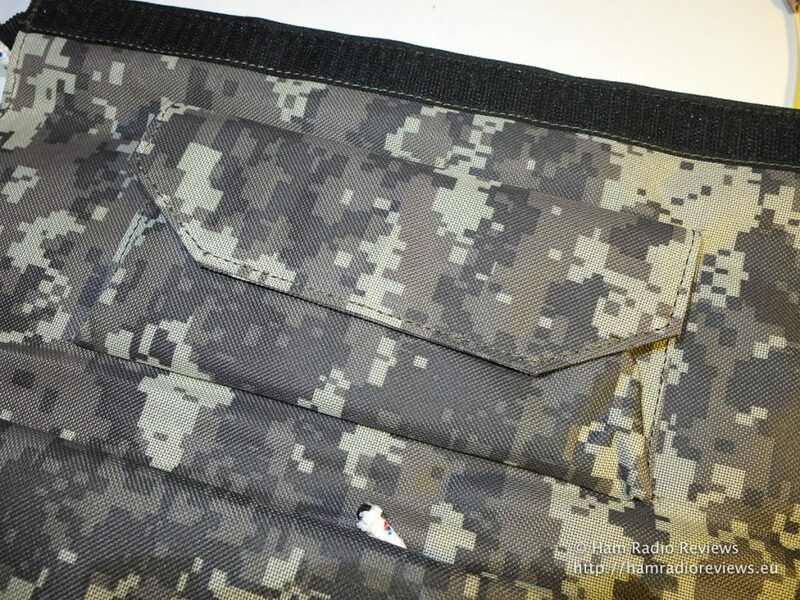 Close up of the pocket at the inner side of the panel. Expanded and ready to provide power. If it was outdoor in a sunny day, that is. I have included more information in the video. However, I believe I should also mention this here. Always connect the battery first, to your charge controller. Never connect your solar panel directly to a battery. Regardless if the panel comes with alligator-clips. It is dangerous. Always check the voltage/amps of the gear you use and make sure it can interact with other gear. 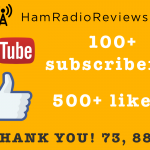 Thank you very much for reading this. Here’s a couple more images. One is of all the gear discussed on the table and the other with everything setup in the field for portable operation. Left to right: solar charge controller, solar panel (folded) and battery. Can you tell me where you ordered that solar panel? Can’t seem to find it? Hello, I replied to your message on my facebook page. Thanks! 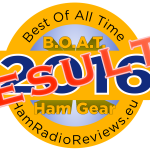 Good write up! I would recommend that you include a note about fusing the output of the battery. You are right. This is something I will do. I actually have some fuse cases and fuses, I’ll make the change. Thanks! I have heard that certain charge controllers emit a lot of RFI. How quiet (or noisy) is this controller? Thanks! 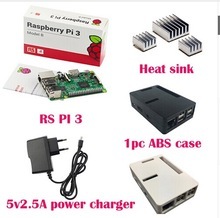 This is true, but for cheap MPPT controllers used to handle arrays of solar panels at homes. The controller used here is a PWM controller and did not produce any noise that I am aware of. Hello, I got it from ebay. Don’t have the link though. Search for folding solar panel.